Faculty, American Academy of Family Physicians	Dr. Shawn K. Conner is a private practice Family Physician in the northern suburbs of Detroit, Michigan. He completed medical school at Wayne State University in Detroit and attended residency at Genesys Regional Medical Center near Flint, Michigan. He started a solo Family Medicine practice from scratch in the area where he grew up, and has been in practice there for almost 20 years. Dr. Conner places a strong emphasis on the personal relationships he establishes with his patients, and in 2013 he was voted as "Best of the Best" Primary Care Doctor in Oakland County, Michigan. His office has been recognized as a Patient Centered Medical Home since the program inception. Dr. Conner greatly values education, and teaches medical students from both Wayne State University in Detroit as well as Michigan State University in East Lansing. 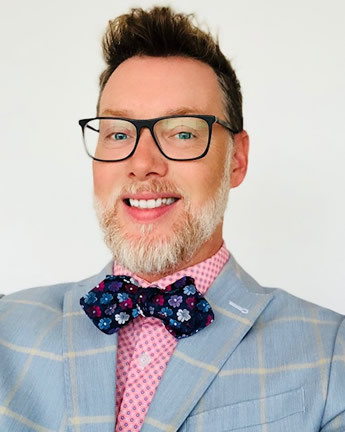 He also serves as faculty for the American Academy of Family Physicians where he teaches other primary care providers at medical conferences across the country. Dr. Conner has practice interests in Dermatology, Upper Respiratory, and Preventive Health. He is actively involved in his community, serving on the local Corridor Improvement Authority, and he serves as an assistant coach on an adult soccer team. Israel Born - July 8, 1956 in Israel. Doctor of Medicine, Ben-Gurion University, Israel, 1984. Resident in obstetrics and gynecology Kaplan University Hospital, Rehovot, Israel. 1985-1991. 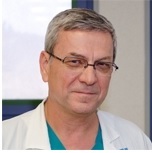 Chief physician Ob/Gyn Hadassah University Hospital, Jerusalem, since 1993. Research Fellowship in reproductive sciences - Barns Jewish Hospital, St. Louis Miss. USA 2003-2004. Premenstrual syndrome - How can I help my Patient? Apply the latest recommendations how to manage effectively PMS. High Risk Pregnancy: Doctor - what about my future health? The participants will be able to assess the importance of continuous blood pressure measurements, glucose and lipid profile levels, weight reduction programs when appropriate according to the specific high-risk pregnancy. Differentiate the different types of diabetes during pregnancy. Discuss the latest evidence-based recommendations of the medical measures to be taken before pregnancy in a known diabetic patient. Apply evidence-based treatment options using the latest technological advances of insulin pumps and continuous glucose sensors when appropriate. Differentiate between Bacterial vaginosis, Yeast infections and trichomonas vaginalis. Cannes, France - When Lord Brougham, Chancellor of Britain was forced to make an unscheduled stop in Cannes on his journey to Italy, he was captivated by the natural setting of the village. Each winter he returned to Cannes which began a tourism industry as England's wealthy flocked to spend their holidays here. Today the rich and famous come from all over the world to participate in the elite Cannes Festival, which honors filmmakers from the world over.